It doesn't use numbers of moving hands, it always just says "now"
And if I have trouble the warranty said, "Beathe in, breathe out, move on"
﻿This past weekend was a milestone in my journey to become the best cruiser I can be. No, I didn't sail or even leave the dock. But I did gain imeasureable confidence in my engine repair skills by replacing the distributor contacts and capacitor on our little Volvo (MB10A) inboard. The engine gave us a few problems on our trip back south from Door County and resulted in eventually using our BoatU.S. towing insurance. I was able to keep the engine running for short periods on the return trip by filing down the contact points in the distributor, but the contact surfaces were deeply pitted and it was clearly time for a new contact kit and capacitor. The parts only cost me a total of $34 but I was concerned about my ability to replace them on my own given my relative lack of engine repair experience and the tight access to the distributor. I've always done my own maintenance on the engine (winterizing, impeller replacement, plug replacement, etc.) but messing with the distributor and setting the gap are new to me. The parts arrived from Volvo USA last week and so task number two for the weekend (behind hosting a marina birthday party for our 10 year old daughter!) was to repair the engine. It took time and patience, but I eventually was able to get the new parts installed and now have the engine purring like she's always done in the past (Thanks to my dad for walking me through the process!). True enough, I was initially upset when the engine quit on our return home after a long cruise. And also true is the fact that I felt frustrated when I couldn't get the contact gap set after trying for about an hour or so. But persistence and perspective kept me at it until the job was completed. During both our tow home a few weeks ago and during the installation of the new parts I kept reminding myself to "breathe in, breathe out, move on". That simple mantra helped me focus on moving towards a solution and not dwelling in a sea of pity or a tide of frustration. 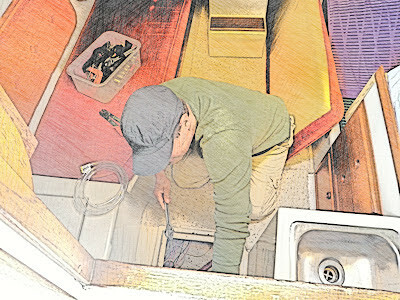 While I have no aspirations of becoming a paid mechanic, any sailor on a long journey needs to be competent in the engine room, galley, cockpit, foredeck, and nav station in many challenging conditions. 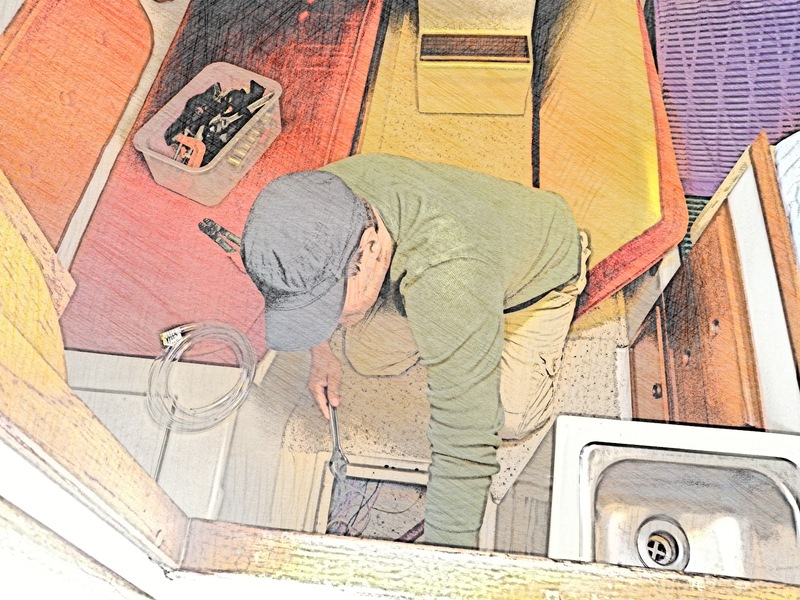 I know this experience has made me a better sailor and I'm affirmed in my belief that cruising can often be defined as fixing your boat and in exotic locations. What valuable cruising knowledge did I gain from this set of circumstances? 1) As much as we sailors like to deny reliance on fossil fuel burning machinery, it's hugely important to keep the iron genoa running like a top. 2) My spare parts kit will now include a contact kit and capacitor in addition to the spark plugs, plug wires, impeller, and fuel filter that I already carry. 3) When faced with a challenge, first remember to "breathe in, breathe out" and focus on moving forward.